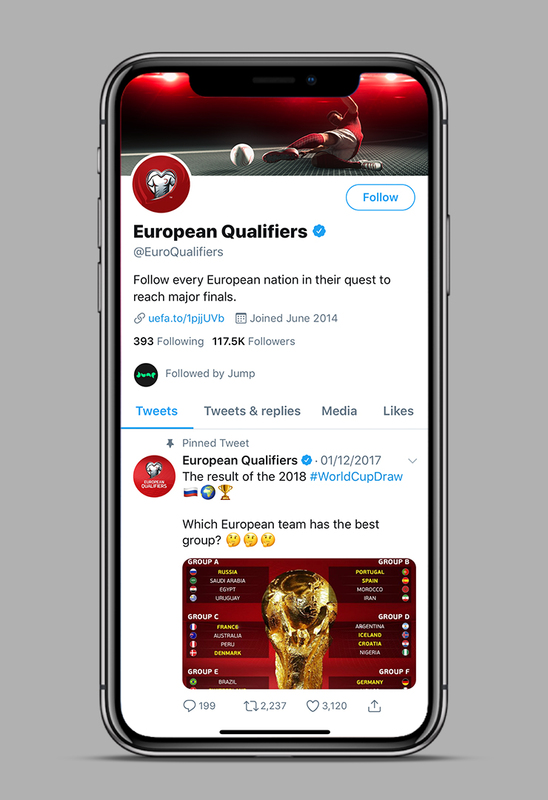 Jump has redesigned the on and off-air brand identity for the European Qualifiers. 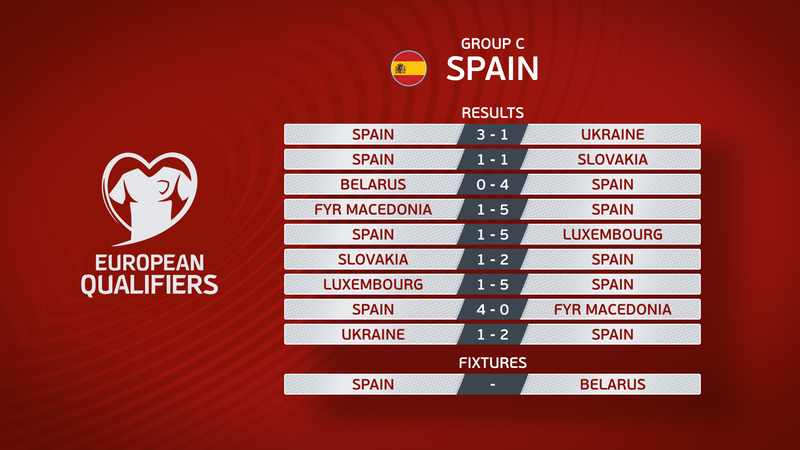 Introduced by UEFA in 2014, the tournament is a series of matches that determine which teams will advance to the UEFA European Championships or FIFA World Cup. Our dynamic package includes opening and closing titles, match graphics and off-air graphics, from tickets, notepads and bags to the team lineup arch, social media and billboards. 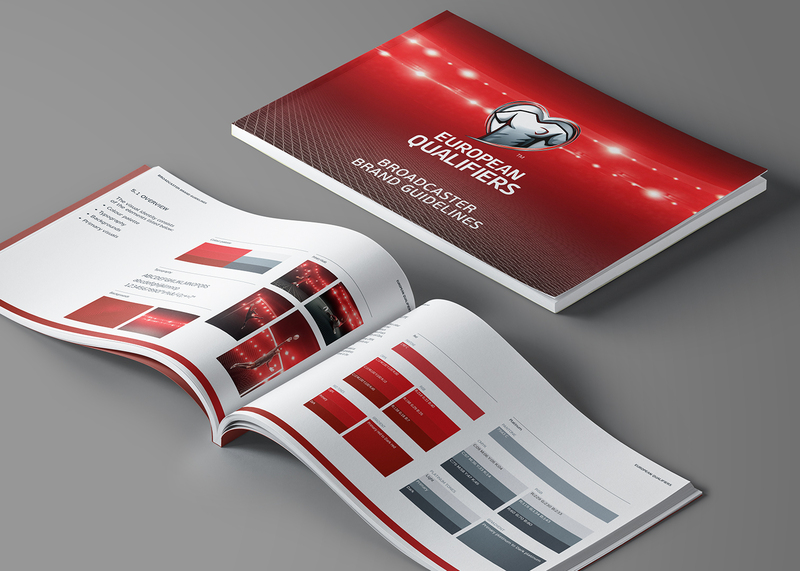 Jump worked alongside UEFA in 2014 to create the original on and off-air toolkits for the competition. 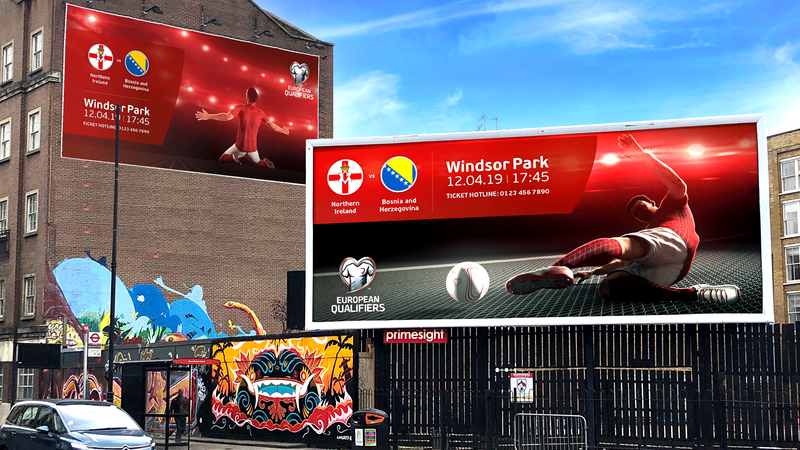 Streamlining the brand’s identity in preparation for the UEFA EURO 2020, Jump has collaborated with UEFA again to refresh the entire package. 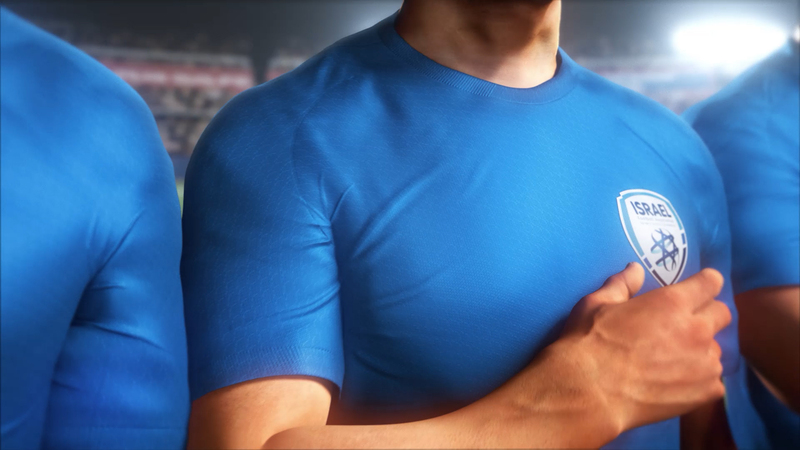 The new title sequence maintains a strong football narrative, emphasising the skill and movement of the players. 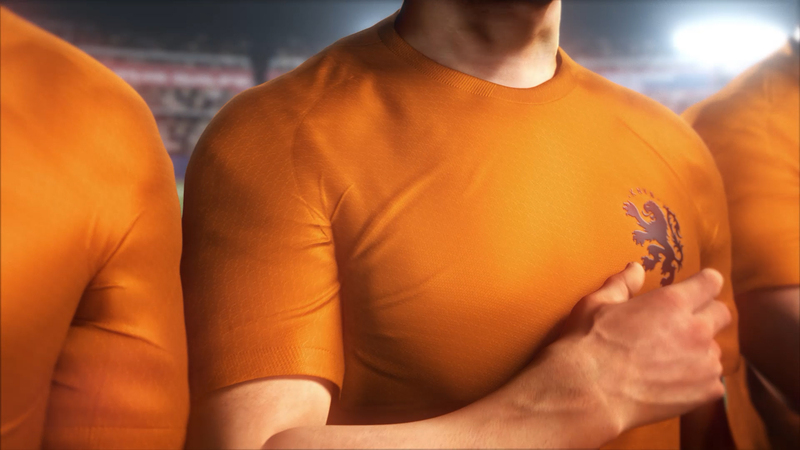 Shot using motion capture and animated in Cinema 4D, the title sequence features football players in a stripped back and stylised environment, showcasing the best of football action. 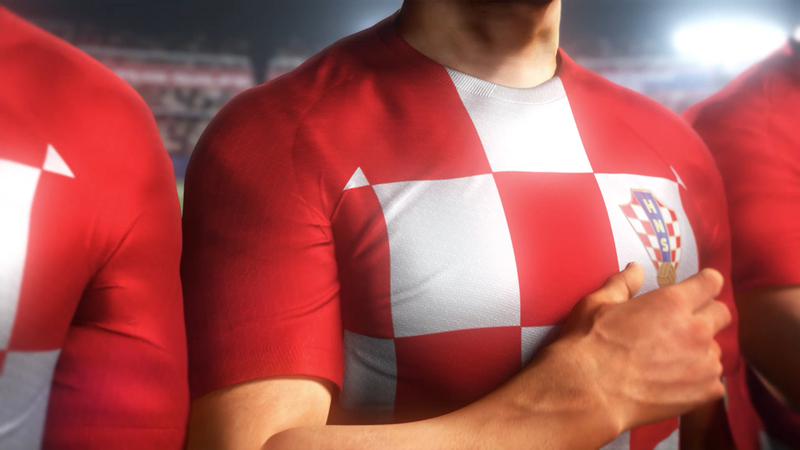 UEFA was looking for Jump to bring more of the brand elements into the on-screen toolkit. Our solution was to make the Heart motif initiate all of the animations, with a series of radiating heart echo patterns animating and shaping all the graphics. 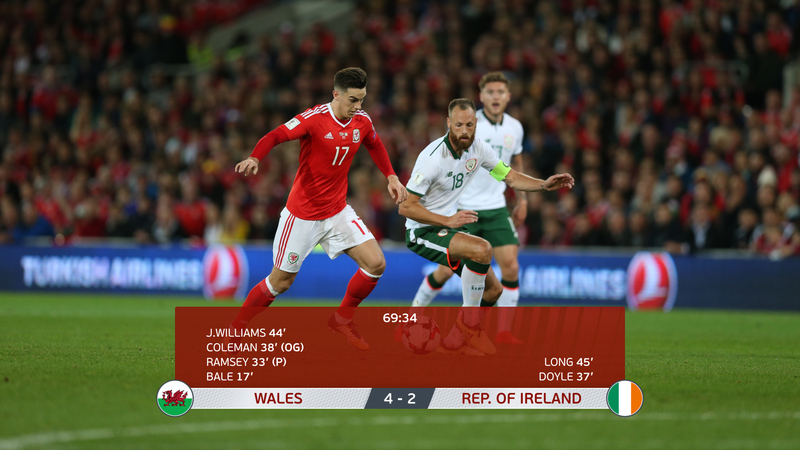 The On-Screen Graphics Toolkit consists of match graphics, wipes and programming elements all supplied to each of the 55 competing National Associations.